Episode 76 – A CommTech Chip Episode Can Mean Only One Thing… Outrageous! This week, Jason and Gabe are going off the deep end listening to 44 CommTech chips!! What are CommTech chips? They were the talking Episode 1 bases that had an amazing high tech name and made everyone sound like they were talking through Kylo Ren’s mask! Well we haven’t stopped thinking about them and now it’s an episode over a year in the making as Jason and Gabe go through every chip they have and try and guess just who the heck’s voice we are supposed to be listening too! Is it Bibble or is it a Battle Droid? Qui Gon or a Naboo soldier?! We have no clue so join us as we try to figure it all out! Before that there’s some talk on Pablo’s statements at a con in Chile, leaked Lego photos involving old things in gold robes riding elevators, and the big ILM 40th reunion party which had one very welcome & surprising guest! So call all up all your Wizards & fire up your CommTech reader and celebrate the love and listen to BLAST POINTS!! 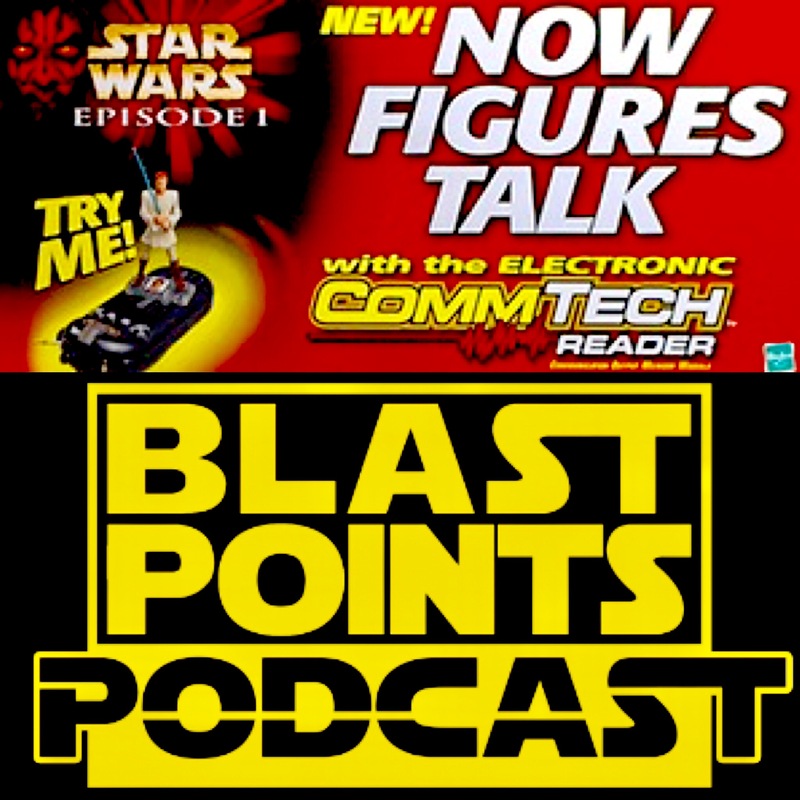 This entry was posted in Episodes and tagged commtech, episode 1, ilm, snoke, the last jedi by blastpointspodcast. Bookmark the permalink.